Another Earth meets Perks of Being a Wallflower in this thoughtful, mesemerizing debut and subject of an upcoming TedX talk about the discovery of a mirror planet to Earth and how it dramatically changes the course of one Indian-American girl's junior year. 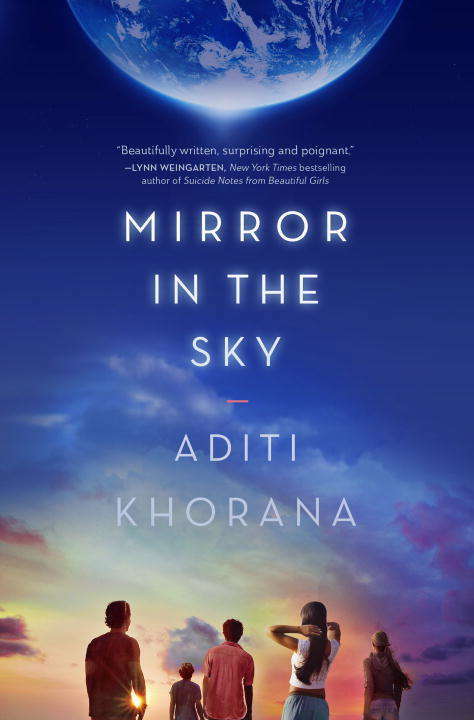 "[A] moving, thought-provoking novel that delicately balances science, philosophy, and emotion...make sure it's on your summer reading list." --BustleFor Tara Krishnan, navigating Brierly, the academically rigorous prep school she attends on scholarship, feels overwhelming and impossible. Her junior year begins in the wake of a startling discovery: A message from an alternate Earth, light years away, is intercepted by NASA. This means that on another planet, there is another version of Tara, a Tara who could be living better, burning brighter, because of tiny differences in her choices. The world lights up with the knowledge of Terra Nova, the mirror planet, and Tara's life on Earth begins to change. At first, small shifts happen, like attention from Nick Osterman, the most popular guy at Brierly, and her mother playing hooky from work to watch the news all day. But eventually those small shifts swell, the discovery of Terra Nova like a black hole, bending all the light around it. As a new era of scientific history dawns and Tara's life at Brierly continues its orbit, only one thing is clear: Nothing on Earth--or for Tara--will ever be the same again.From the Hardcover edition.